These unique foxhunting maps have been reproduced from 19th Century hand coloured maps depicting 114 hunts and covering 42 counties of England. Originally produced as a guide to the Victorian foxhunter. They were published as a foxhunting atlas in 1870. 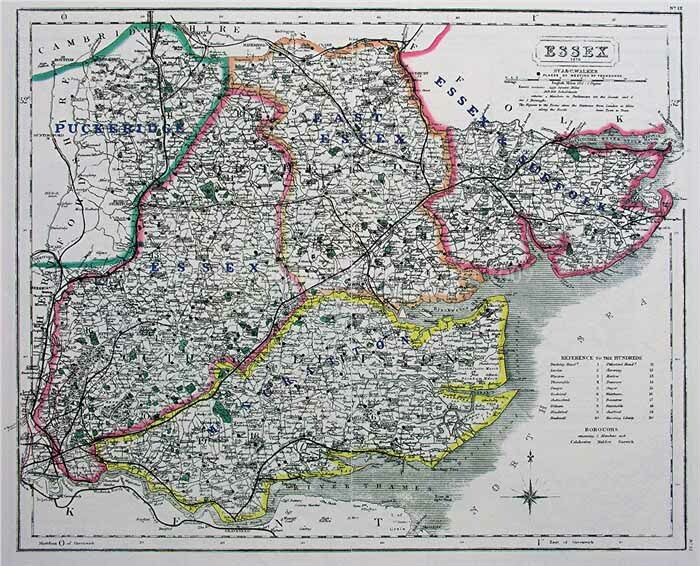 Printed by county with clearly This map shows the following hunts: The Essex, The East Essex, Mr. Scratton (The Essex Farmers & Union, The Essex & Suffolk hunts, and part of The Puckeridge. Scale approx 1 inch to 4 miles.